March 20, 2019 – Walpole, MA. Email Marketing firm ECE Marketing Services announced their Quantum Email Marketing Platform is bringing service businesses in the USA more sales, more often without the use of direct mail, social media, video marketing, SEO or paid advertising. Research clearly shows the cost of acquiring new clients is on the rise; currently it cost five times as much to find and attract a new client than to keep an existing one. The System ECE Marketing Services developed works for any type of service business which includes Day Spas, Dental Offices, Hair and Beauty Salons, Automotive Repair, Mortgage Brokers, Insurance Agencies, Pet Groomers, Med Spas and Chiropractors, just to name a few. 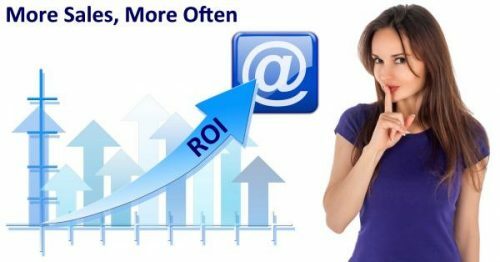 The email marketing advantage their clients receive comes from the fully done-for-you email marketing services they provide. Using a unique 5-Part Email Sequence, delivered over a 16-day period, the platform not only produces above-average email delivery (getting the message into the inbox) and open rates (getting the message opened and read) it also produces an amazing reader engagement-rate which drives up new sales. ECE Marketing Services was established in 2009 and is quickly becoming the firm of choice when it comes to using email marketing to generate new revenue from your company’s email list.